Jerusalem - the capital of the State of Israel and ancient capital of the Kingdom of Israel. Founded by King David, Jerusalem is sacred to the three principal monotheistic faiths: Judaism, Christianity and Islam. Jerusalem is old. In 1996 Jerusalem celebrated its 3,000th birthday. Jerusalem is young. 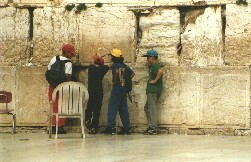 30% of Jerusalem's population is under the age of 12. Jerusalem is the seat of Israel's government, the Knesset, her Supreme Court and the location of her largest educational institution, the Hebrew University. 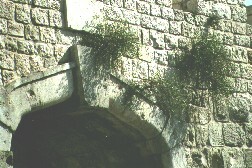 Jerusalem is noted for is unique beauty complimented by its agglomeration of sights, smells and sounds. These can be experienced in a stroll through either the Old City shuk or West Jerusalem's Machane Yehuda market. But it is also is a city filled with gardens, parks, sculpture, outdoor cafes, museums and music. Tradition says "Ten parts of beauty were bestowed upon the earth; of these, nine were given to Jerusalem". The oldest American Jewish organization in Israel. Israel's flagship Conservative synagogue in downtown Jerusalem invites you to daven and to celebrate your b'nai mitzvah smachot. Dairy and Fish restaurant near the centre of Jerusalem. Pizza and other dairy delicacies in Efrat, just outside Jerusalem.